Hard luck to Shane McAndrew in the All Ireland Novice Championships in Dublin at the weekend. 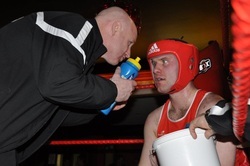 Shane was defeated by Robert Barry of St Lukes Boxing Club Dublin. Shane boxed his very best and left it all in the ring and has gained valuable experience from this contest. Everyone in the club is proud of Shane and no doubt Shane will be back in action again very soon. A great win for Darren Timlin in the Connacht final at the weekend against his opponent Cillian O’Donnell of Swinford Boxing club. Darren was always in control of the fight winning the 1st round 9-4. Darren pushed forward in the 2nd round bringing the scoreline higher to 7-2. Darren had his work done by the 3rd round and laid back and showed his skill and unique style. 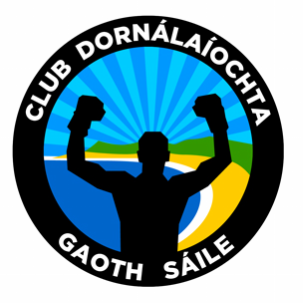 With O’Donnell bringing the score to 3-3 in the last round it didn’t have any effect on the scoring as Darren had the fight won on an impressive 19-9 score against the gallant Cillian O’Donnell. Darren will be heading to Dublin next weekend to take part in the All Ireland championships in the National Stadium. Hard luck to Gerard Coyle who was narrowly defeated by his Olympic opponent Dillon Ward. After a great win the previous week today wasn't Gerard's day, it was a tight contest, but Ward just edged it. Gerard will be back in action very soon and will learn from these Championships and improve from the experience.